A weekly spotlight of our favorite books from a black author that we recommend for your reading pleasure. The eruption of mass protest in the wake of the police murders of Michael Brown in Ferguson, Missouri, and Eric Garner in New York City have challenged the impunity with which officers of the law carry out violence against black people and punctured the illusion of a postracial America. The Black Lives Matter movement has awakened a new generation of activists. 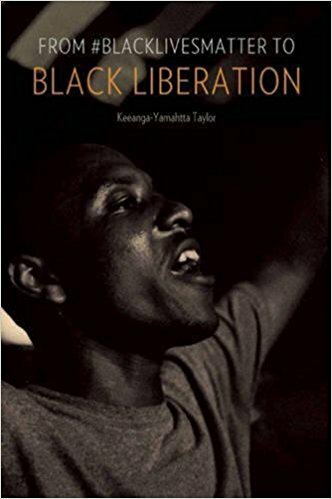 In this stirring and insightful analysis, activist and scholar Keeanga-Yamahtta Taylor surveys the historical and contemporary ravages of racism and persistence of structural inequality sick as mass incarceration and black unemployment. In this context, she argues that this new struggle against police violence holds the potential to ignite a broader push for black liberation. Taylor's research examines race and public policy including American housing policies. Dr. Taylor is currently working on a manuscript titled Race for Profit: Black Housing and the Urban Crisis of the 1970s, which looks at the federal government's promotion of single-family homeownership in Black communities after the urban rebellions of the 1960s. Taylor looks at how the federal government's turn to market-based solutions in its low-income housing programs in the 1970s impacted Black neighborhoods, Black women on welfare, and emergent discourses on the urban “underclass”. Taylor is interested in the role of private sector forces, typically hidden in public policy making and execution, in the “urban crisis” of the 1970s. Taylor’s research has been supported by a multiyear Northwestern University Presidential Fellowship, the Ford Foundation, and the Lannan Foundation. Taylor was the Chancellor’s Postdoctoral Research Associate in the Department of African American Studies at the University of Illinois at Urbana-Champaign in 2013-2014. Taylor received her Ph.D from the Department of African American Studies at Northwestern University in 2013. Copyright © 2019 • Visionairi LLC • All Rights Reserved.